Bibb County Sheriff’s deputies found a man asleep behind the wheel of a car March 2. The car was still in drive, but some of the items in the car also raised concerns. Bibb County Sheriff’s Office Patrol Deputies responded to a suspicious vehicle at Log Cabin Drive and Napier Avenue just after 4 a.m. Saturday. Upon arrival deputies found a gray Nissan Altima stopped in the roadway. The vehicle was still in drive with the driver asleep behind the wheel. Deputies say they saw a pistol sitting near the gear shift and removed the gun through an open window and then woke the 25-year-old driver up. The deputies instructed the driver to put the car in park and then detained him. 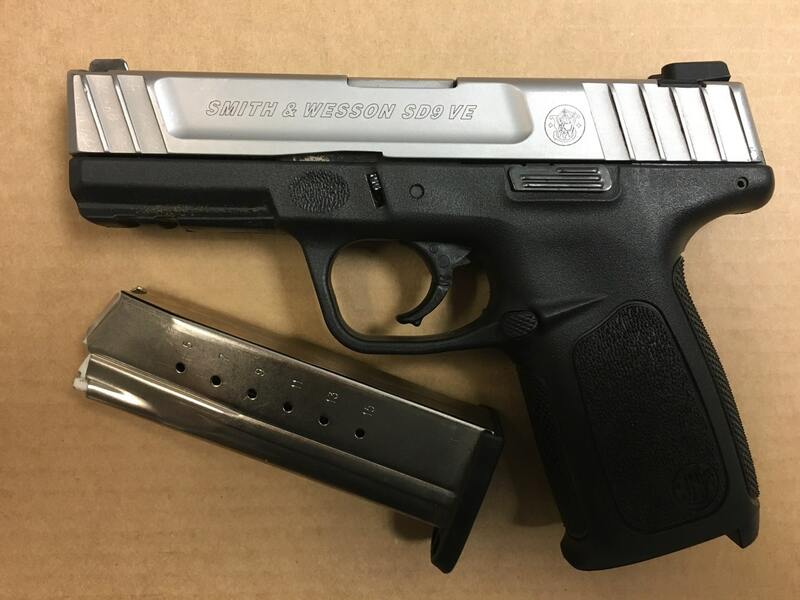 According to a news release, the pistol had been reported stolen in an entering auto case from Feb. 2019. During a search of the vehicle and the suspect’s person, an open bottle of Hennessey, less than an ounce of marijuana and one ecstasy pill were found. The suspect was taken to the Bibb County Jail on charges of Possession of Marijuana Less than an Ounce, Theft by Receiving Stolen Property, Possession of Schedule I Controlled Substance and Open Container. He was released on an $11,050.00 bond. Police are asking anyone with information in reference to this incident to contact the Bibb County Sheriff’s Office at 478-751-7500 or Macon Regional Crime Stoppers at 1-877-68CRIME.